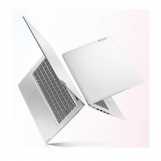 Looking for Coolers under 15K? Here are the Best Ones for You! Summer waves, sweat and heat are back. It is getting terribly hot and humid, and we are all looking for some respite. Nobody wants to leave their homes, get out from under the fans or coolers. Even when we are out, we are restless to go back inside, get back in our comfortable clothes and wish for a cooler to soothe our parched souls. If you too are looking for a new cooler this summer but are worried about spending a fortune on the options available then worry no more! 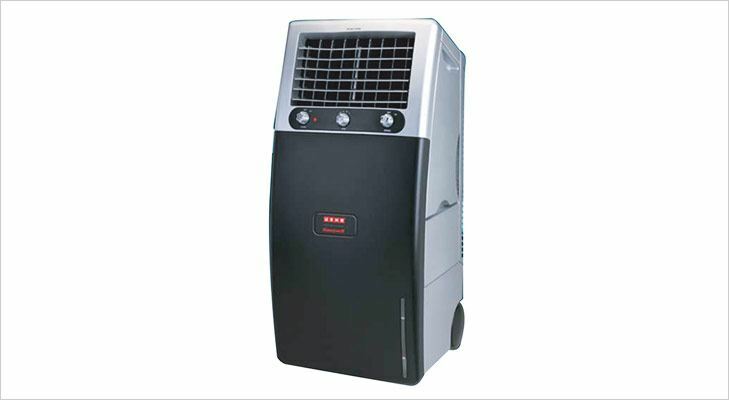 We have listed out the best coolers you can get under Rs.15,000! This cooler with a capacity of 20 litres is worth Rs.6,200. The best thing about it is that it has 4-way air deflections that allow it to cool the entire room. 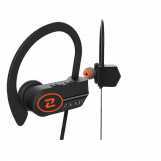 It doesn’t emit noise so it is very suitable for your bedroom or study room. It can also be easily moved from one room to another with the wheels on its base. You can adjust the air flow according to your needs, and you are good to go! Or rather, good to sit in front of it while you work or study or simply chill. This tower air cooler with the water capacity of 34 litres is a hoot! Fill it once, and you are good for at least 10 hours. This costs only Rs.6,100. 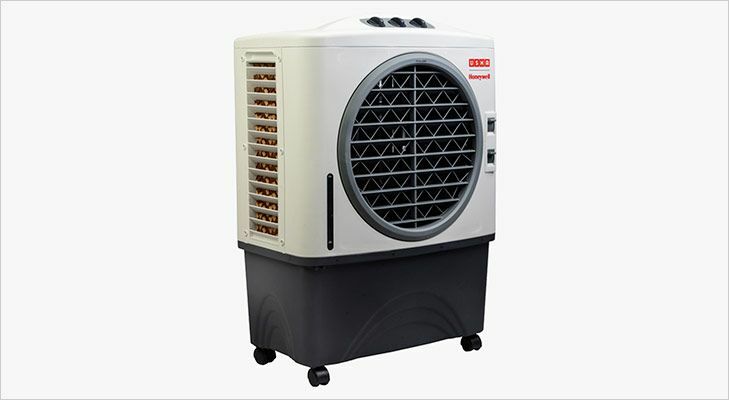 This corrosion free cooler comes with a plastic body which is thermally re-engineered. 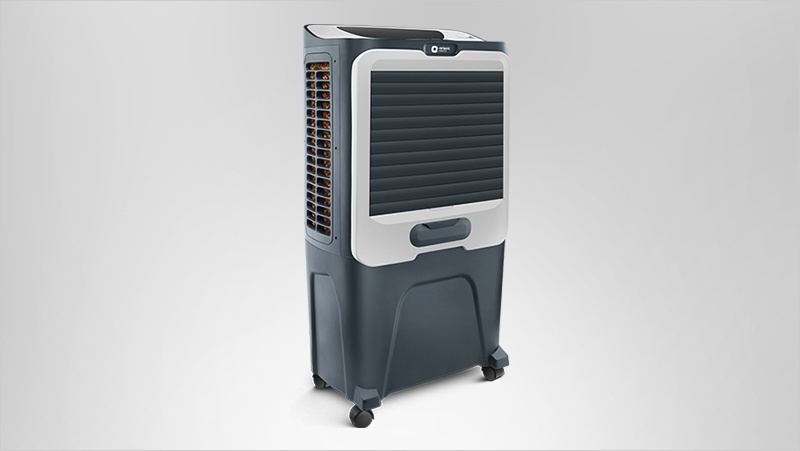 This has three-speed blower settings and 4-way air deflector so that the entire room is equally cooled. Also, it looks good and doesn’t make much noise. 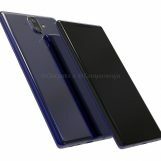 At the cost of Rs.10,990, this product is a good steal. 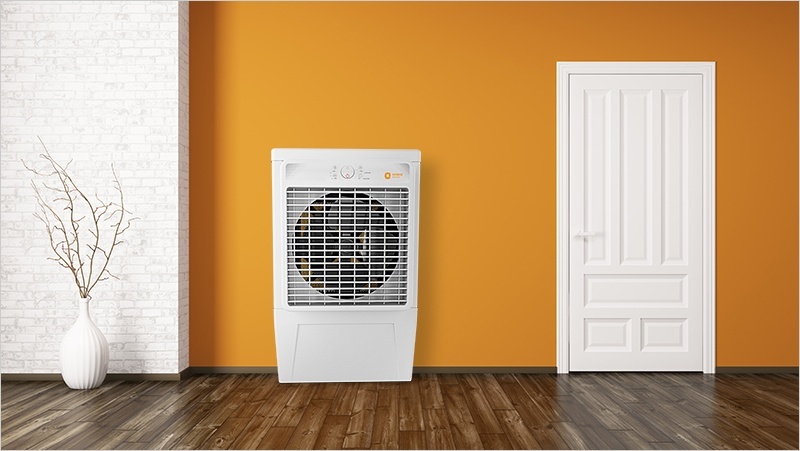 It is energy-efficient with high performance. Its cooling range is up to 30sq.m and it features oscillating blinds which ensure that air is evenly distributed around the room. 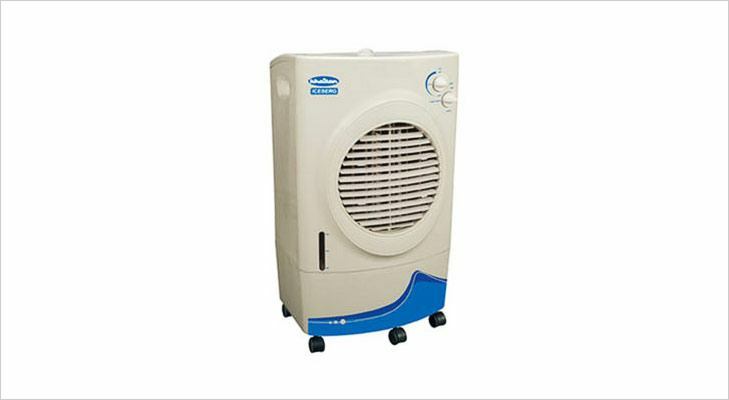 Its water capacity is 15 litres and is a great choice to fight humidity and blazing heat. Also, it has a low water level warning which can give you a head start to refill before the air turns hot. This cooler with a 40 litres water capacity is worth Rs.13,400. 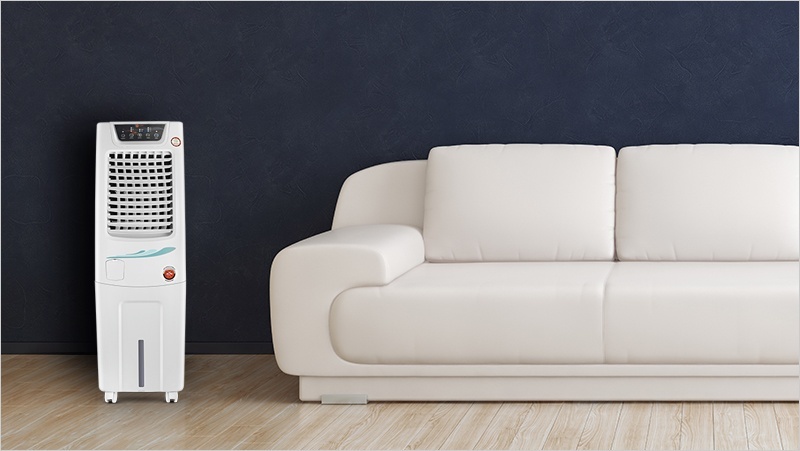 It can cool an area up to 57sq.m., which means that your entire room remains cool with this cooler. 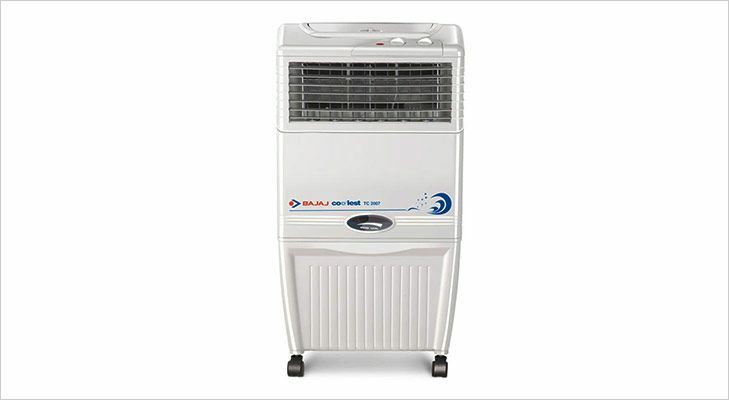 The best part is that it can be connected to running water supply as it has inbuilt overflow precaution mechanism, which means it can cut off the water supply when the tank is filled and start taking in water when the level goes down. 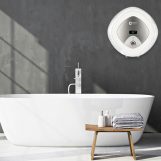 It has three-way air deflectors to distribute air equally in the entire room and s perfect for big rooms or halls. This cooler with the water capacity of 60 litres is a good bargain of Rs.11,000. 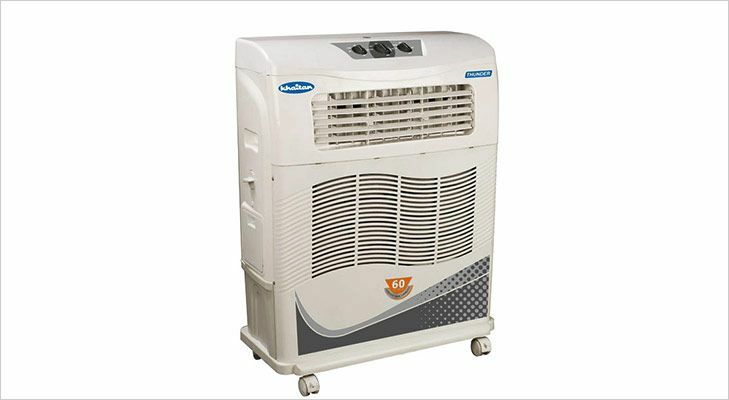 It has a cooling capacity of 80sq.m., which makes it appropriate for halls and big rooms. 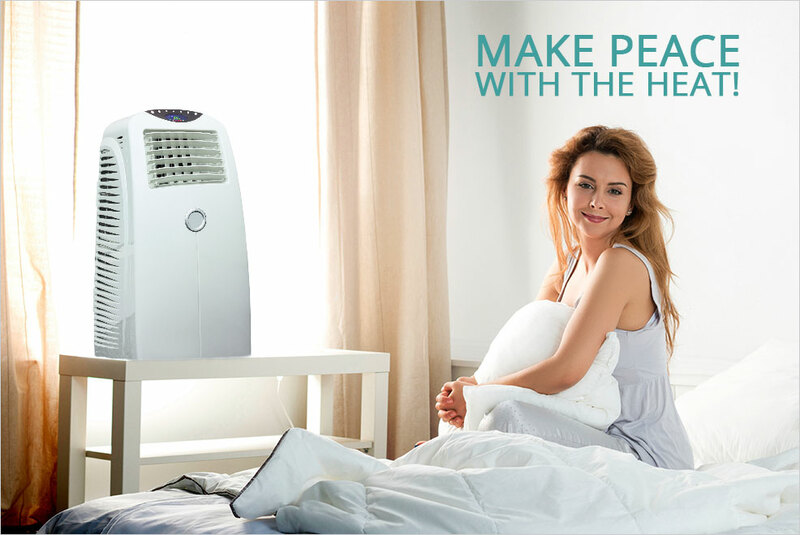 It comes with four ways air deflectors which ensure the entire room is kept cool. 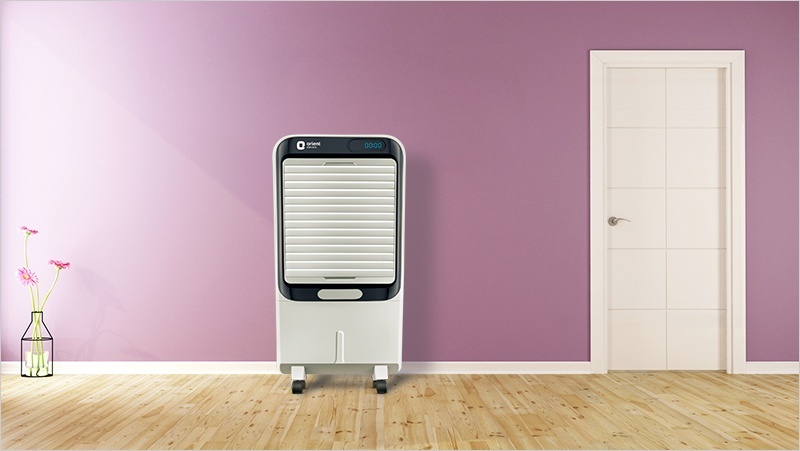 The sound is minimal, so it can be used in offices, and its wheels ensure easy movement of the cooler. 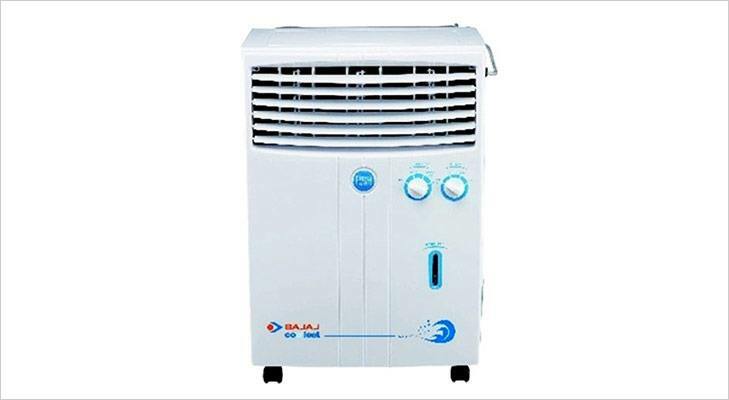 This cooler, rated at Rs.6,500, has 20 litres water capacity with a powerful motor and wide angle oscillations. 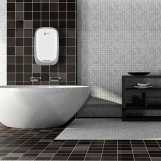 It can cool an entire area of 60sq.m. It has swing features, which can move the blades up and down so that air can hit you at body level, whether you are sitting, sleeping or standing. 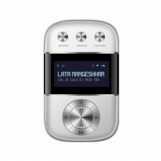 As it is really affordable, you can get one for all your rooms and enjoy summers in leisure and comfort. 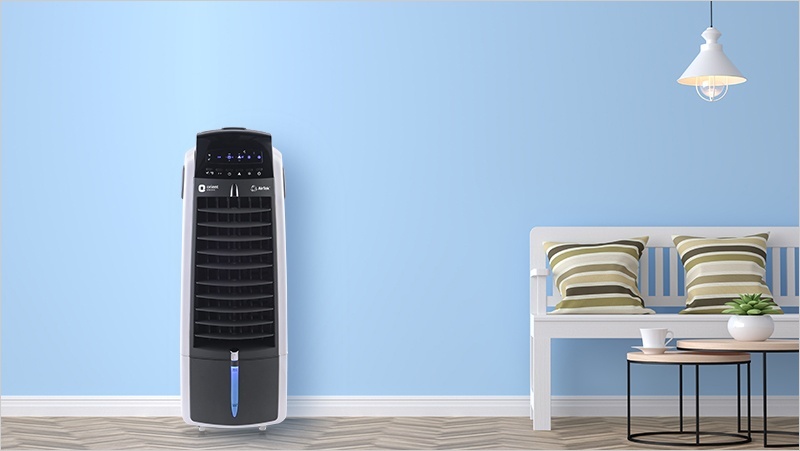 With these option being available to you at the best air cooler price possible, why not get one home? 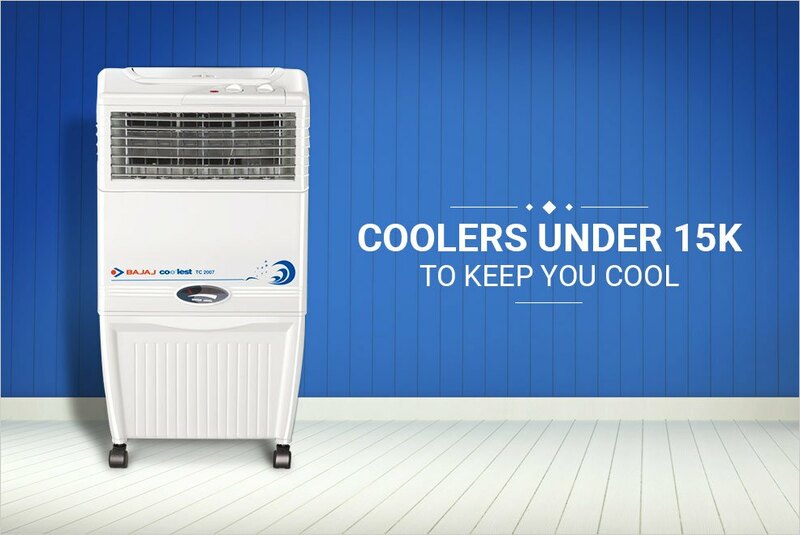 Get home from work, school or even grocery shopping and relax under these coolers. Stay cool and fresh this summer.